1100 Architect is an architectural firm based in New York City responsible for building luxurious yet curious homes all over the globe. 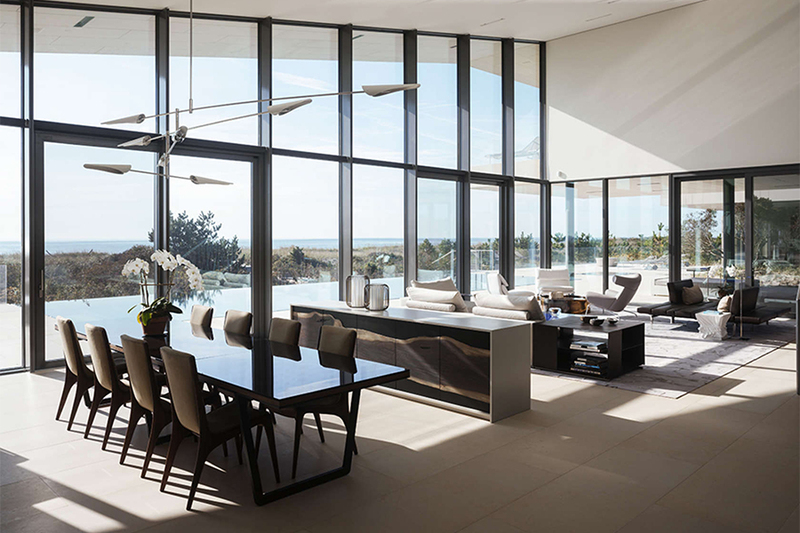 Their stunning Long Island House is located on the eastern shore of the outpost and is one of the finest examples of their work. 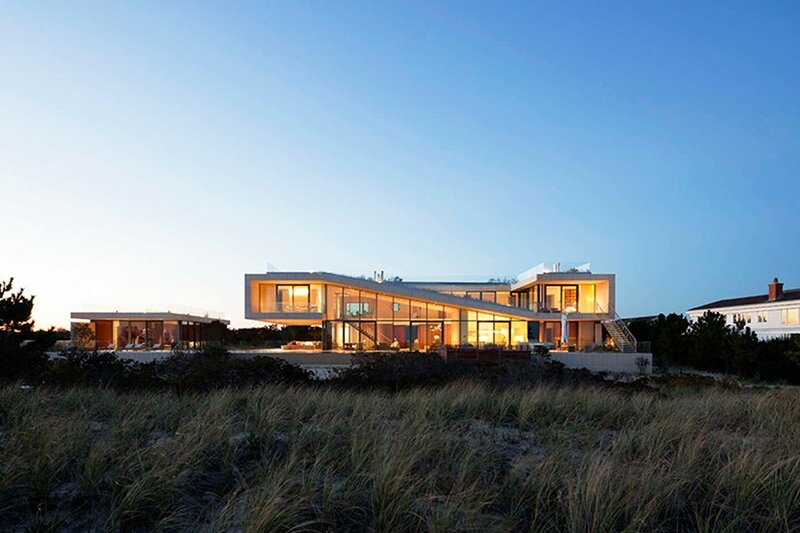 In addition to big and bright interiors that let the outdoors in, its spectacular exteriors host a deck for sunbathing, an infinity pool for cooling off seaside, and a sloped green roof that mimics the surrounding dunes. 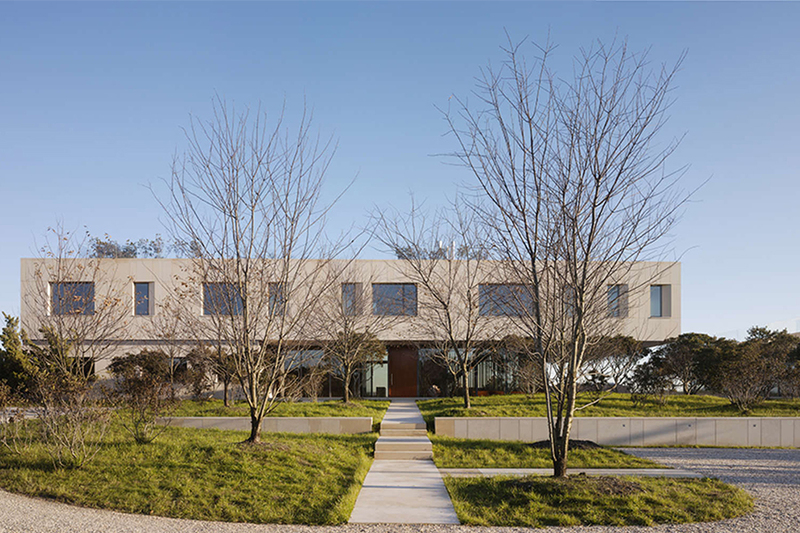 The modern retreat has two very different sides to it; it remains private as it faces the street, while its back facade opens up toward the seaside. The driveway entrance on the northern side goes pretty much unnoticed thanks to stone-clad walls featuring a subtle sand color. Enveloped by trees and bushes (though the above’s winter shot doesn’t do the greenery much justice), it stands in disguise and keeps the curious eyes of passersby out. 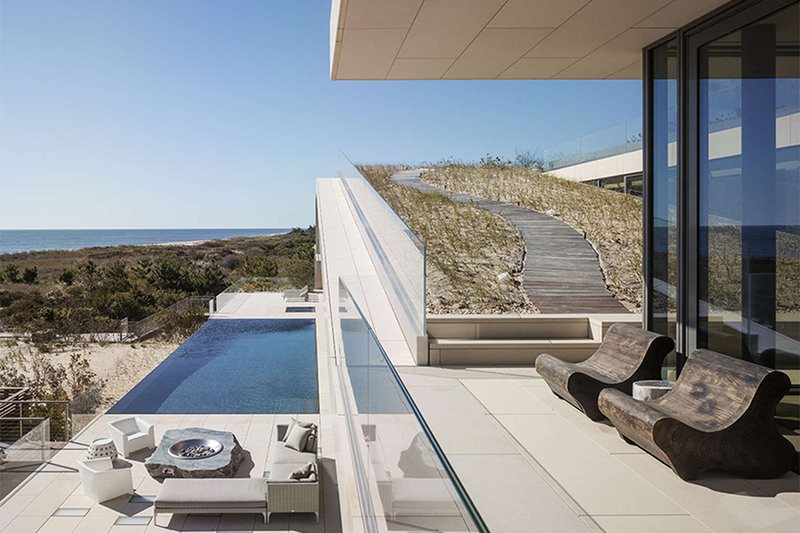 The back of the home is a wall of windows that maximize ocean views and sun exposure. The retreat uses an open plan with minimal decor, high-end furniture and a polished floor that matches its sand-hued exterior. 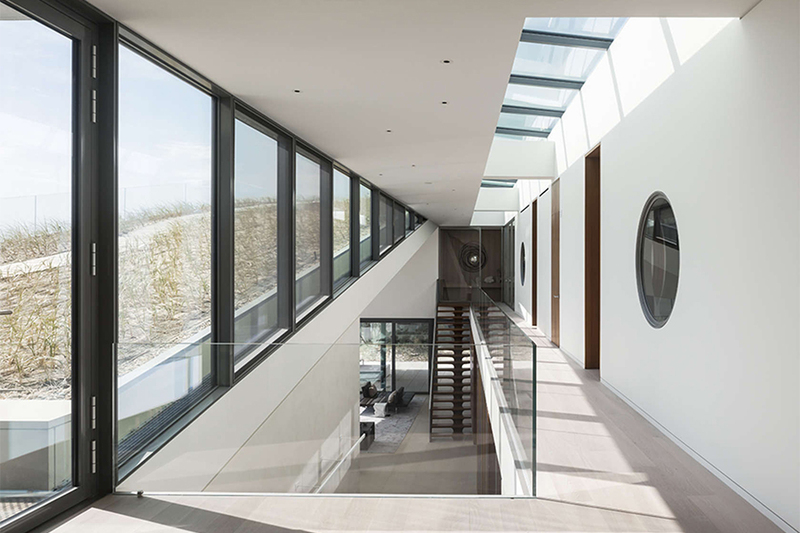 But the most unique feature of this stunning seaside property is probably its roof where you’ll find a planted slope with a wooden path that leads to sweeping, elevated views of the water. 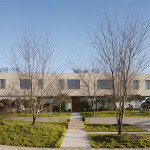 Here residents can watch the grasses dance with the wind and meditate on the landscape that surrounds them. 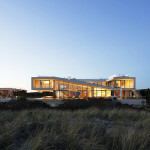 See more amazing seaside retreats by 1100 Architect on their site here.